An unprecedented history of American involvement in the Middle East. 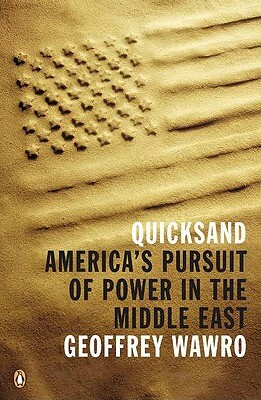 In this definitive and revelatory work, noted historian Geoffrey Wawro approaches America's role in the Middle East in a fundamentally new way-by encompassing the last century of the entire region rather than focusing narrowly on a particular country or era. With verve and authority, he offers piercing analysis of the region's iconic events over the past one hundred years-from the birth of Israel to the rise of Al Qaeda. Throughout, he draws telling parallels between America's past mistakes and its current dilemmas, proving that we're in today's muddle not just because of our old errors but because we keep repeating those errors. Geoffrey Wawro is the General Olinto Mark Barsanti Professor of Military History and director of the Military History Center at the University of North Texas. Wawro has hosted many programs on the History Channel and taught for several years at the U.S. Naval War College. He received his BA from Brown and his PhD from Yale, and he lives in Dallas, Texas.